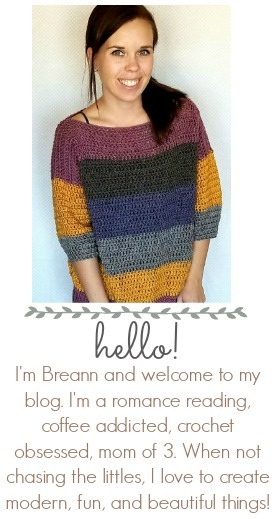 This striped tank top is made to be fitted and a cute addition to your closet! 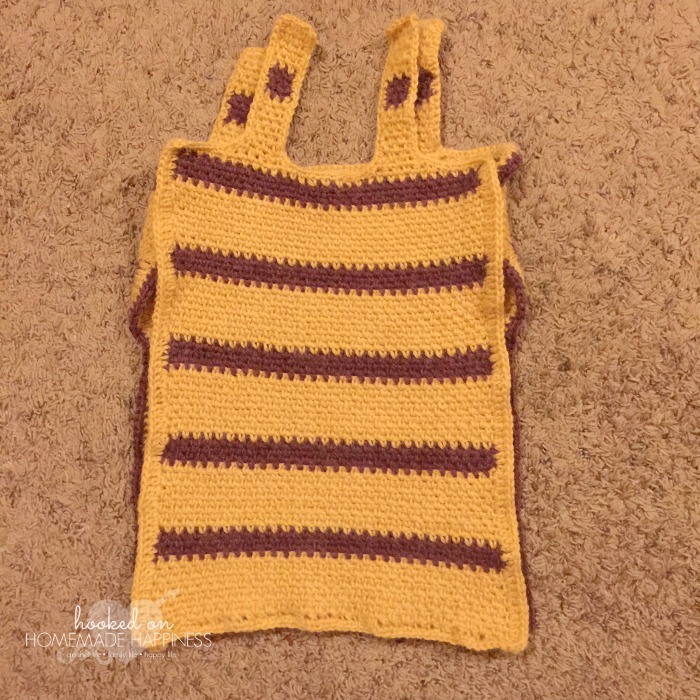 This pattern is written for a size small, but it can be easily customized to fit any size. Where you can adjust is noted in the pattern. The bust measurements, waist measurements and length can all be adjusted. 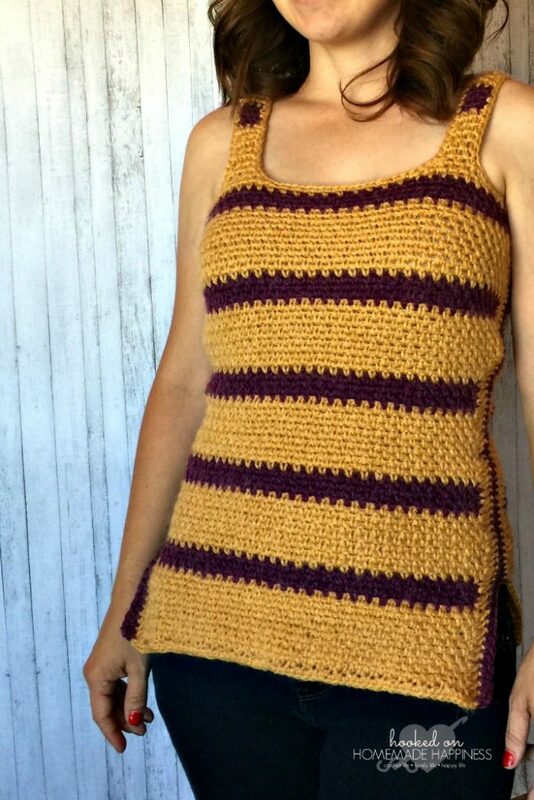 Top is made with two panels sewn together. The panels are worked from the bottom up. 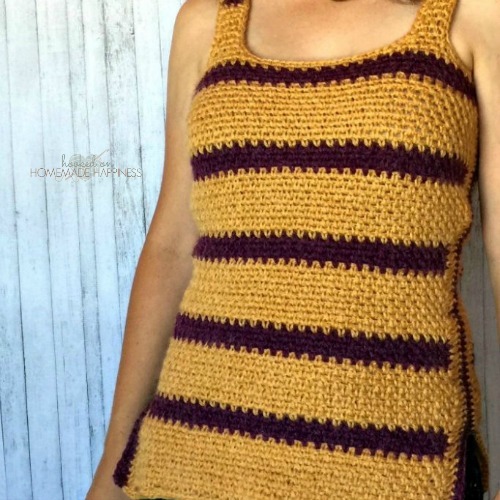 This pattern is a size small, but can be easily adjusted to fit any size. As long as your starting chain is a even number, any number of chains can be used. The length and bust measurements can be adjusted as well. It is noted in the pattern where these changes can be made. Fasten off weave in the ends. Now you will stitch around the entire panel. NOTE: I started increasing in the next rows for the bust. This can be done at any row. 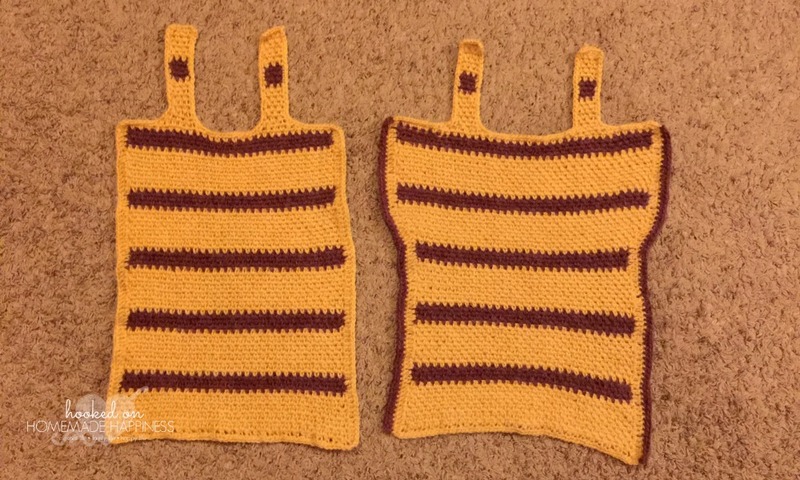 I held the top to my front at the length I wanted it and started increasing at the bottom of the bust, then continued with the increasing pattern until the front fit around the bust. Add or take out rows as needed here. 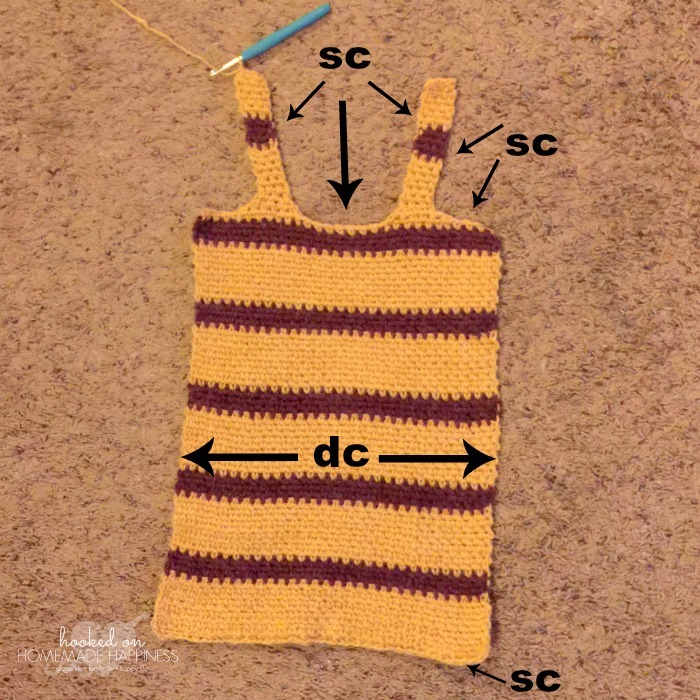 Follow pattern for straps, making the straps even with the back panel. 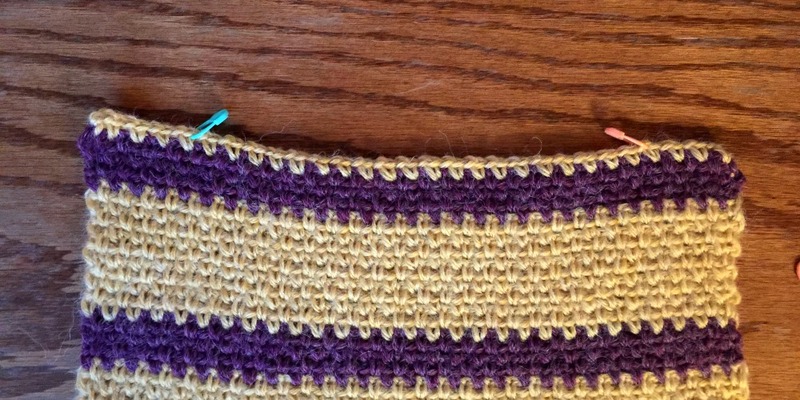 Crochet around the panel by repeating previous pattern. Attach color B to one side of the front panel, hdc in each stitch down. Fasten off, weave in the ends. Repeat pattern for opposite side.